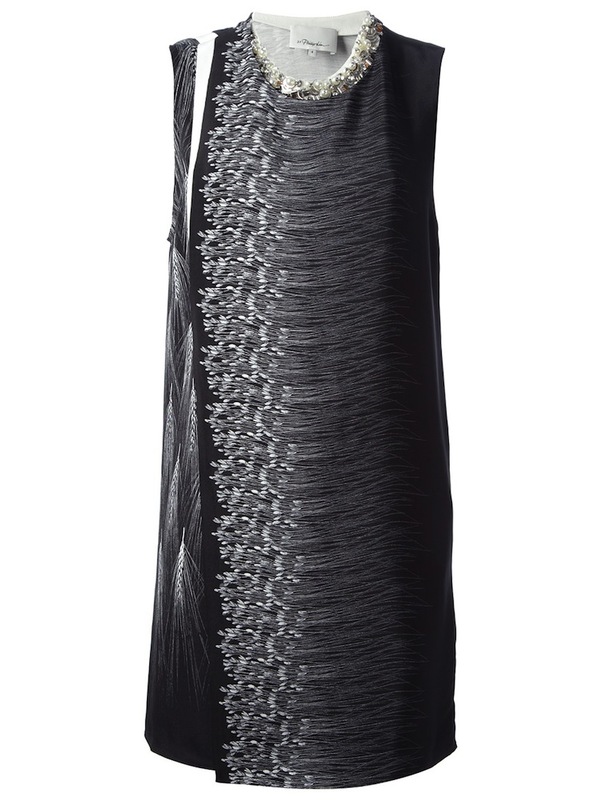 Adorned with an exquisite beaded neckline, this dress from 3.1 phillip lim glams up a graceful silhouette with a sparkly edge. Team this statement piece with muted colours to let the jewels shine through.fitted. Black and white, wheat print, layered wrap-around design, pearls and crystals beaded detail at neckline, concealed shoulder zip fastening, sleeveless, unlined.100% silk. Dry clean only.